VAM® has been the leading brand of premium connections in the oil and gas industry for over 50 years. Each year VAM® designs new connections, extends product lines and qualifies new sizes to the most stringent specifications to meet our customer needs. 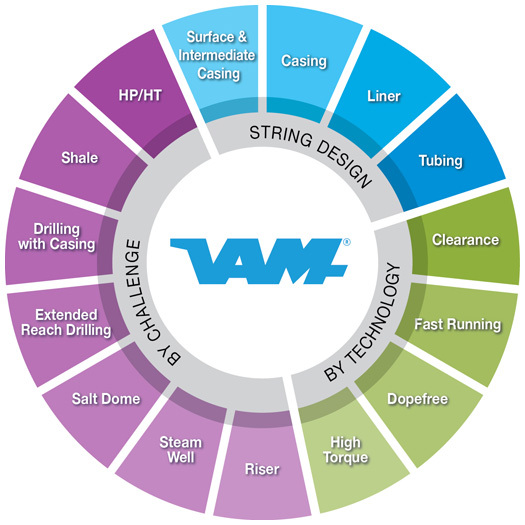 VAM® Research & Development teams can customize connection designs to new sizes or meet requirements for specific well conditions. The connection selection guide helps you find the VAM® connection that best fits your E&P needs. For assistance in choosing the best connection for your oil and gas project, contact VAM USA sales team.